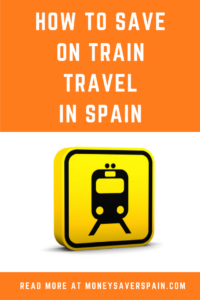 There are lots of ways to save when you buy train tickets in Spain. Avoid paying over the odds, get compensation for delayed trains and save on cancellations with our comprehensive guide. For AVE train reservations book early for cheaper tickets. Of course, you can expect that prices for reservations around key events in Spain will be just as high even if you book early. Try and avoid the beginning and end of key vacation periods (Easter, July & August, Christmas) as well as weekends that join on to a national holiday. If you can be flexible with dates, it pays to travel one day earlier or later than everyone else. Surcharges are applied on medium and long distance train tickets bought at train stations in Spain, hence it’s cheaper to buy online. The majority of pages on Renfe’s website are in English, however the website often crashes – so be patient! Buy a return ticket and you’ll get a 20% discount compared with buying two single tickets. Even though you have to validate the return journey on your outward trip, you can change it afterwards (any increase in price will have to be paid). Before buying double check if Promo tariffs are available for your chosen route: in this case two singles may be cheaper than a return ticket. For frequent AVE travellers, the “BonoAVE” is better value: a ten-trip ticket with a 35% discount compared with single-trip prices. The BonoAVE is available for two classes of travel – “preferente” or tourist. You can travel by local train for free on the days you’ll be using your BonoAVE and at some stations car parking is free. If you don’t use any trip on the BonoAVE after purchase, you can get a 100% refund of the cost, otherwise cancellation is subject to a 15% admin charge. Avant trains, which cover distances up to 200 km, offer two travel cards: Tarjeta Plus 10 (for anyone) and Tarjeta Plus 10 Estudiantes (for student card holders). Each ticket is for 10 trips, valid to use during 2 months. Once your first journey has been used the remaining journeys must be used in 8 days or 10 days respectively. If you use Avant trains on a daily basis, then the Abono Plus card is more cost-effective and is valid for 30 days and between 30 to 50 trips. All these cards offer a reduction on the normal cost of tickets. AVE trains for group travel have an interesting table-sharing tariff. If 4 people book to share a table (2 pairs of facing seats) then a discount of 60% is applied. Consider booking 4 tickets even if only 3 people will be traveling if it works out cheaper. If you’re traveling alone or in a couple, take a look at Truecalia or CompartirTrenMesaAVE. Although neither are official Renfe sites you can search for travelers going on the same journey, share a table and and get cheaper tickets. 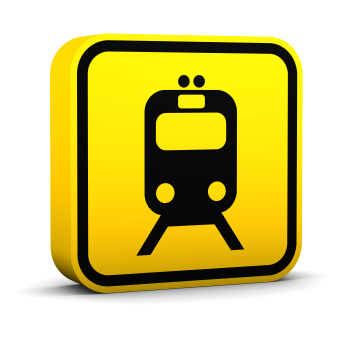 AVE trains: Mon-Thurs you’ll get a 40% discount on any train and class of travel; Fri- Sun the discount is 25%. Families with 3 or more children will get a minimum discount of 20% (see our article on the Familia Numerosa Card). Children under 4 travel for free. The Tarjeta+Renfe Joven 50 is for those aged between 14 and 26. Discount rates of up to 50% are applied, actual rate depends on type of train – see the full list here. The Renfe Joven 50 costs 50€ and is valid for one year. If you don’t have the Renfe Joven card, you can normally get a 20% discount with a valid youth card. You could also compare prices on Trenes.com to see if you can get a cheaper rate. The Bono Colaborativo, for AVE and long distance trains, is a voucher for 8 trips between 2 stations for up to 4 travellers. By using this voucher you’ll get a 30% discount off the normal tariff. Upon purchase you need to indicate both the stations and the travellers. Vouchers can be purchased for travel in tourist or preferente class and are valid for all days of the week during 4 months from the date of purchase. Refunds are available for vouchers without reservations. If a reservation is made but not used, cancelling the voucher comes with a 15% penalty charge. You can travel with your dog (up to 10kg), cat, ferret or bird (except farm animals) as long as it does not bother other passengers and is kept in a suitable cage/carrier. On long/medium distance trains your pet will need a ticket. Note that on combined train+bus tickets pets are NOT allowed. On AVE and long distance trains pets travel free with a first class ticket, otherwise a pet ticket costs 25% of the price of a tourist class ticket. Compare prices if travelling solo with a pet, it may be worthwhile paying for first class if the difference in price between classes is small. For Avant and medium distance trains the pet tariff is 25% of the tourist tariff. Local trains allow dogs to travel for free (no ticket required) without a cage/carrier as long as they wear a muzzle and are on a lead. Tickets for pets can be cancelled and refunded, except for a 15% cancellation fee. Available for those aged 60 and over, discounts are available for the Interrail Global Pass and Interrail Premium Pass for either 1st class or 2nd class travel. Additional benefits in Spain include discounts on ferries between the mainland and islands, Italy and Morocco; a 5% discount at Husa hotels (130 across Spain), 50% off railway museums in Madrid and Barcelona and a free gift at the Hard Rock Cafe when you spend over 30€. Full refund, either online or at the train station. Full refund + 20% of the price, given as a code to exchange for a future ticket, online only. For Renfe loyalty programme members: Full refund as Renfe points + 30% extra, online only. For AVE trains delays over 15 mins have a refund of 50%, delays over 30 mins 100%. For all other trains check the delay times applicable. Renfe’s App not only offers the possibility to buy tickets, but also gives you information about the journey length, delays, timetable and more. Available for iOS and Android. What happens if you buy your ticket but then you need to change or cancel it? At Renfe changes can be free but are usually subject to a minimum 10% admin charge (20% for promo tariffs) and if the new fare is higher you’ll have to pay the difference. Cancellations normally come with a 15% penalty charge based on the original fare. Remember that changes are only available for non-promo tariffs. If you find yourself in this situation, check out Truecalia.com and try to sell your unused ticket rather than cancel it. You can also upload any requirements if you’re looking for cheap tickets. Tickets prices must be equal to or lower than the original price. Renfe accepts payment by PayPal as well as by credit card for online purchases. Door-to-door luggage delivery: over 200 locations for 20€ per piece of luggage (26€ for items such as golf clubs, skis, etc). Transit takes up to 48 hrs, discounts available for future luggage services. Quiet cars on selected AVE trains in tourist class with dimmed lighting and a ban on cellphones. Take a look at Renfe’s luxury train trips across Spain on their website. Children under four must travel with a ticket (free of charge). Discounts are not normally compatible with other special offers.